To tell you the truth, I don’t wear makeup, except on the rare occasion. The few and far between date night out, social events and family dinners we participate in are the only times I put on makeup. I used to use CoverGirl years ago. Now remember, I’ve been living the homesteading country lifestyle for almost 10 years now. I have since stopped wearing much makeup, as mentioned a moment ago, but I have also started to make my own from natural herbs and plants I find on the land and grow in our organic gardens or am able to find at the local amish store, like arrowroot powder. In my quest for recipes, ideas, “will this herb work for ____ (blank)” and the research I do almost on a daily basis I have certainly found myself on Pinterest. Not only do I base my business on natural skin care, it also what, I believe, has become an obsession…if you’ve read any of my other posts, you’ll know that organic gardening and herbology are my therapy of sorts. I feel at one with myself and nature when I am creating something I can use to better my own and my family’s health, skin and well being. My only “make up” needs are foundation and powder. I hate the look of blush, eyeliner, eyeshadow, lipstick, and I feel like I’m painted when I have that stuff on. I’m not myself. I much prefer looking like me. I won’t get into it all here but I will say that makeup is one of the biggest offenders for chemical nasties. I have been using a foundation that I thought was good quality (Lord knows it sure is CRAZY expensive $45 for just over 1 oz / 30 ml.) Honestly, though I bought it awhile ago because it was mineral based and because it did not have colophony in it (a random contact allergy I have). I’ve made bold the five ingredients I can pronounce and have heard of. Out of 27 ingredients though. Think about that for a second. 5 out of 27. Staggering. Shop Laura Mercier's Silk Crème Oil Free Photo Edition Foundation at Sephora. The lasting foundation leaves a natural-looking, matte finish. Can you Pronounce them all? We've been hearing more and more that there are dangerous chemicals lurking in our favorite beauty and skincare products. Mercury in your mascara? Yep, it's in there. Endocrine disruptors in your lip gloss? It is possible. I know that you are probably on a journey to rid your home of toxic products. You are probably looking to do the same with your personal care products, too. Awesome. That makes me extremely happy ...and we have A LOT in common! I have played around with this product for quite some time now. Does ANYONE ELSE see a MAJOR difference between the ingredients in /CoverGirl and Laura Mercier and this all-natural foundation? Oh my gosh. And look how luscious and silky it turns out. Buy it here y’all! You won’t be sorry. 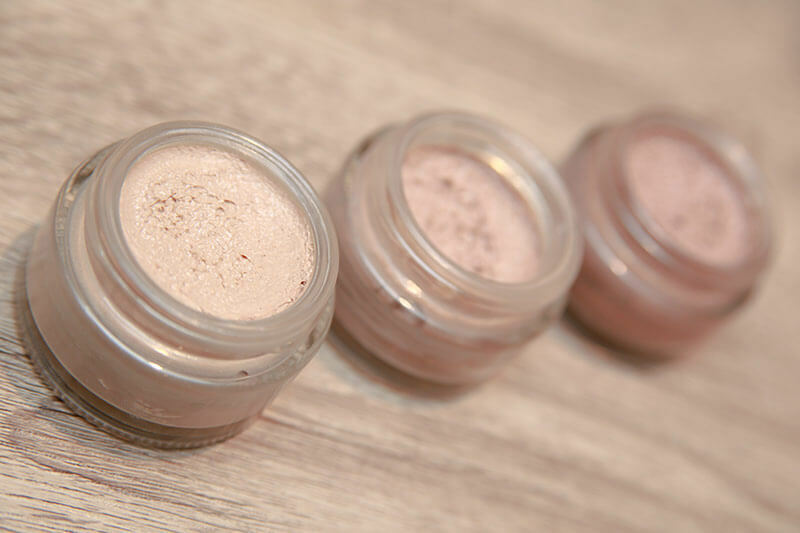 I plan on adding natural foundations and powders in the near future to the skincare shop. I finally have all of the ingredients. I just got the cacao and zinc which was all I was missing.